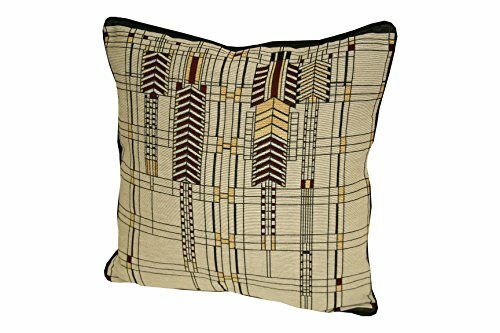 For this post, I put together a collection of Frank Lloyd Wright inspired products you can now buy for your home. Frank Lloyd Wright is unquestionably one of the greatest architects of all time. His revolutionary designs have inspired generations of future architects and designers. If you are looking for a unique gift or something special for your home, look no further. 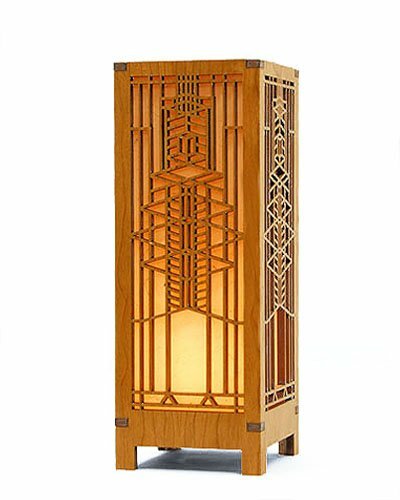 So here is my list of 10 Frank Lloyd Wright Inspired Products For Your Home. Stylish and Powerful! Celebrate classic design with the Mission Style Table Lamp. This lamp is crafted with 208 hand-cut pieces of stained glass, each wrapped in copper foil and then hand-soldered in place to create a stunning effect. Warm tones of amber and blue come together and create a diffused glow for any space. Frank Lloyd Wright designed and patented a series of 45 prisms of clear glass tiles to refract light for the Luxfer Prism Company building in Buffalo, New York, 1896-97. The front and rear walls of the building were made entirely of these Luxfer Prisms. This clock incorporates two of the famous prism designs, including the flower design that was the only one that was ever actually produced. Case is made of individual bronze finished rods. The dial has raised hour markers on a cream background with a shadow background design and a Smooth sweep second hand. This Arts and Crafts-style bronze finish table lamp casts a warm glow through the varying shades of amber art glass pieces that are inset in a geometric pattern on the pillar base. 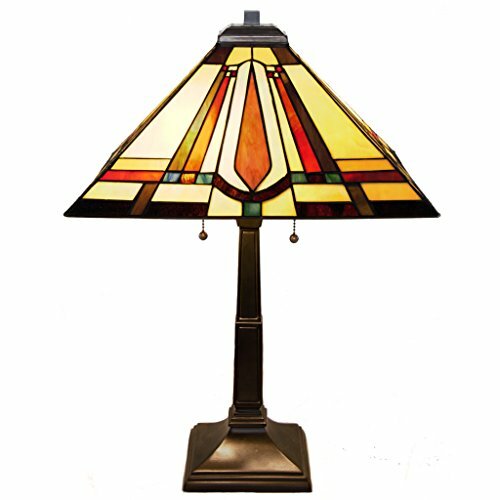 This lamp features over 60 pieces of hand-cut amber colored art glass and is inspired by the works of Frank Lloyd Wright and Robert Louis Tiffany. Rennie and Rose brings the timeless beauty of Frank Lloyd Wright designs to today's homes in their special line of textiles, for holiday and every day. FLW believed "A home is not just a home; it is a work of art". In contemporary and classic designs and colors, these designs bring fashionable flair to every decorating experience. 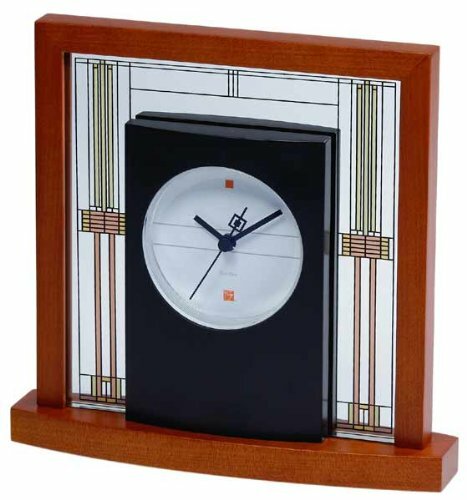 The Bulova Willits Table Clock is from the Frank Lloyd Wright Collection. The clock is an adaptation of the art glass living room windows in the Prairie-style Ward W. Willits House, Highland Park, Illinois, 1902-03. This licensed collection reflects the poetry and beauty of Wright's interior design objects and decorative elements. A one-of-a-kind piece, this mantel clock will make any home or office space a little more exciting. 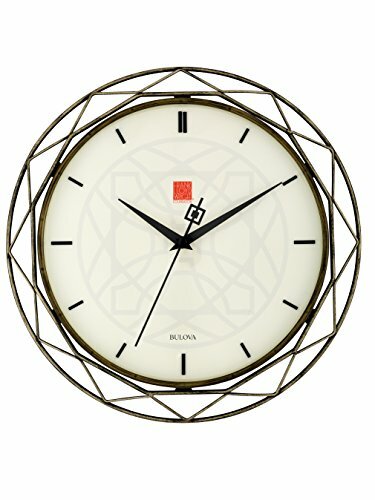 The solid wood base and frame with light cherry finish and mineral glass panel give this clock a contemporary look. The Frank Lloyd Wright Robie House Mini Lightbox Accent Lamp design is ideal for someone looking for a smaller accent lamp. This design is adapted from one of the art glass windows in the Frederick C. Robie House (1908). Cherry wood veneer with hand made Lotka paper shade material. This handcrafted Tiffany style collection illuminates your home with warm shades of amber bisque and earthy green arranged in a clean and simple geometric pattern reminiscent of the works of Frank Lloyd Wright. 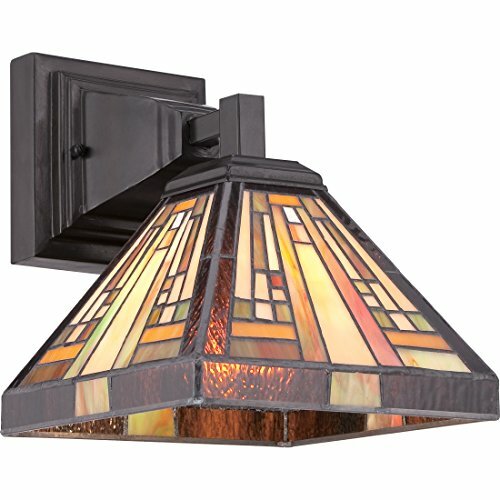 The sturdy base complements the Arts & Crafts style and is finished in a vintage bronze. 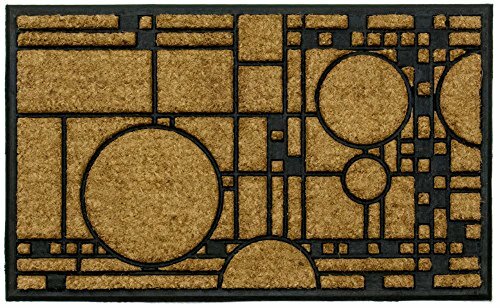 The humble door mat made extraordinary with this Frank Lloyd Wright Coonley Playhouse mat. 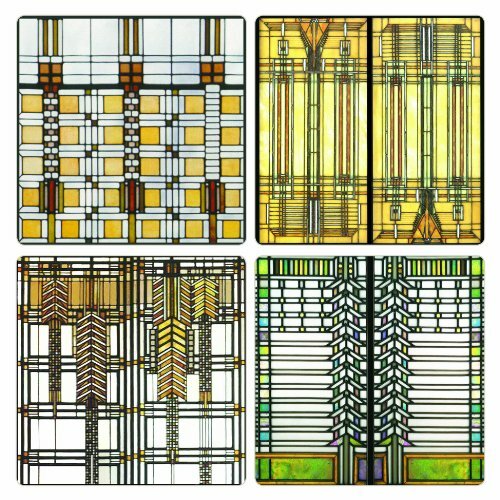 This Frank Lloyd Wright gift set of coasters is inspired by his art glass designs. The Wright gift collection contains one each of the following coaster designs: Dana-Thomas I, B. Harley Bradley, Dana-Thomas II, D.D. Martin. Each Frank Lloyd Wright coaster is 4" square, made of original CoasterStones porous sandstone and is cork-backed to protect furniture and prevent scuffs. Made in the USA. Official Frank Lloyd Wright Collection Item. The Frank Lloyd Wright Oak Park Skylight Wood Framed Stained Glass design is adapted from one of the matched pair of art glass skylights in the entrance to Frank Lloyd Wright's studio, attached to his home in Oak Park, IL. On this glass panel, enamel colors are individually applied to a single sheet of glass which is then kiln fired to permanently fuse the enamels to the glass. The glass is then wood framed and includes a wood stand for optional desk or table display. Ht: 15.37". W: 6.87". This Frank Lloyd Wright glass panel is officially licensed by the Frank Lloyd Wright Foundation. I hope this list has been helpful, if I left a Frank Lloyd Wright inspired product out you think is important, let me know in the comments below.